Guest David Parker Brown from AirlineReporter.com knows the airline industry, and he also plays a big role in the annual Aviation Geek Fest in Seattle. 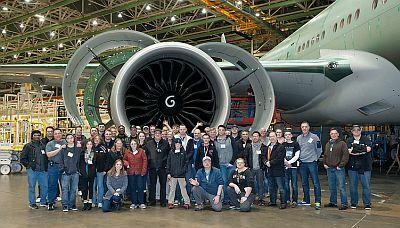 In 2014, the two-day event included the Museum of Flight Restoration Center and tours of the Future of Flight Aviation Center, the Boeing Everett Factory, and the Passenger Experience Research Center (PERC). 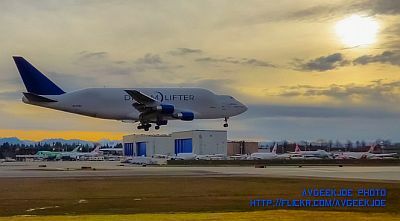 Boeing even held a Dreamlifter next to the Future of Flight for the group to view from the ground. They also saw the Delivery Center and an amazing time was had by all. Airplane Geeks listener AvGeekJoe has a collection of pictures of the Museum of Flight’s restoration of a DH 106 Comet Mk 4C and of one of the Dreamlifters. Also see the Future of Flight’s photographs from the event. The event received some favorable press, including Aviation Buffs Get To Embrace Their Inner Nerd At Annual ‘Geek Fest’ by Seattle NPR station KPLU, and Wow! Making planes in the world’s biggest building by CNN. David Vanderhoof’s Aircraft of the Week: the Harbin SH-5, a Chinese turboprop flying boat. Rob Mark’s Aviation Minute: Women in aviation. After recently appearing on Xtended, resident pilot and advisor Fl Lt Jonathan Duke RN, a Sea King Mk 7 Pilot for the Royal Navy joined Pieter to talk about GetIntoFlying. A project all about helping those interested in careers, enjoyment and interest in aviation and aerospace achieve their goals, GetIntoFlying has been a great success. 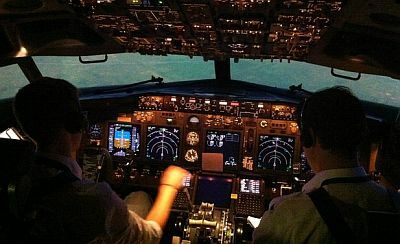 Following last weeks discussion on British Airways careers, here is another great resource for those interested in an aviation career. 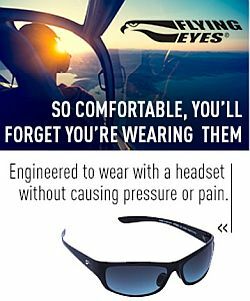 Follow @GetIntoFlying on Twitter. This entry was posted in Episodes and tagged Aviation Geek Fest, B787, Boeing, Dreamlifter, drone, MAS Flight 370, Museum of Flight on March 12, 2014 by maxflight.